Sergio Badilla Castillo, poet, narrator, translator, journalist, university teacher, son of a sailor, was born in Valparaíso, Chile in 1947. Like his contemporary Juan Cameron, during the Pinochet dictatorship, he spent twenty years in exile in Sweden, travelling throughout Europe, North Africa and the Middle East, returning to Chile in 1993. He now lives in Santiago. Badilla states that his poetic vision puts him in a “fractal vacuum” which gives him access to both “intuitive abstraction” and “to the material & logical world with all its absurd, rational & fantastic twists”. He practises a poetic “transrealism”, where the poem ––an arena in which reality and myth, certainty and uncertainty merge, where dimensions alter and multiply, and where the poetic facts can inhabit several temporalities at once–– is a shamanistic revelation of the chaos at the heart of things. 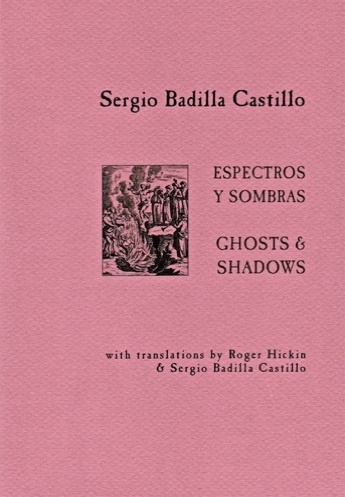 This is the second bi-lingual selection of poems by Badilla from Cold Hub Press and includes a number of poems from a recent visit to India. all hoping for a miracle. and my dead legs come back to life. keeps talking on his mobile phone. pointlessly quoting St Augustine’s Confessions. The prophets are impatient on the cloister steps. and a pack of dogs growls among the crowd. My ears and extremities feel cold. The prophets withdraw quietly to the temple. False alarm: no epiphany today.